Saw these displays of empty Coca-Cola 12-pack containers at the local Safeway. The second one, in case you can't tell, is the Coca-Cola Bear. Love seeing these holiday displays. Quiz: What Thanksgiving leftovers Are You? You are a bit of an odd bird, but that's okay. You're very content with who you are. You don't try to please anyone else - only yourself. And of course, that includes eating pie for breakfast. You do enjoy the holidays, but only in small doses. You still need your alone time to maintain your sanity. The more reflection you're able to do this season, the better you feel. You'd like to enjoy your pie in silence, thank you very much! Found this to be ironic, since I never eat pie. I'm a cake person. OK, here's what came to my mind. Thanksgiving episodes of TV shows. It's too bad I didn't think of this sooner because Now there is no time to rent the disc from Netflix in time for tomorrow. I'm talking about the famous Thanksgiving episode of "The Bob Newhart Show," in which Bob wins a turkey in a raffle but forgets to let it thaw later on. He stays home as Emily goes to visit her family in Seattle, and gets joined by Jerry, Mr. Carlin and Howard. They get drunk while watching football and Bob brings out the rock-hard turkey. They guys decide they'll need to turn up the oven to 2000 degrees, but as Jerry discovers, the oven only goes up to 500. Bob: "Then we'll use four ovens." Eventually they decide to order Chinese food, so much that the delivery guy needs a hand crate to deliver it. It's been years since I've seen this episode and as I said earlier, I didn't think of ti till now and perhaps another year I'll rent the disc in time for Turkey Day. I could not find the full episode online either, but while Googling for images, all I could find was the one on this website, with some info on the episode as well as four other Thanksgiving episodes of other TV shows. FYI, I've never seen the "Cheers" Thanksgiving episode in which we sort of see Norm's wife Vera for the first and only time. Read the link above for more information. And since I have three of the 10 seasons of "Friends" on DVD, I pulled them out to watch the Thanksgiving episodes. The episodes in question are those from Season One: "The One Where Underdog Gets Away;" the one from Season Four, "The One With Chandler in a Box"; and Season Seven, "The One Where Chandler Doesn't Like Dogs." Last month, I rented Season Eight to see the one and only "Friends" Halloween episode, and as such Saw that season's Thanksgiving episode in late October, "The One With the Rumor." "Friends" had a Thanksgiving episode every season except the second one. Goodwill Hunting for Geeks looks at Thanksgiving books. D.I. Treasures has a very Mr. Bean Thanksgiving. Diary of a Dorkette has her own Turkey Day presentation. Retro Robot Review has a very MST3K Thanksgiving. OK, I started listing to Christmas music even though Thanksgiving isn't here yet. As soon as my ghosts and other Halloween decoration went down the afternoon of November 1, I vowed, as I've done every year not to put up my Christmas decoration until after Thanksgiving. I left the suction cups I used to display my Halloween lights on the kitchen window to use again for my Christmas lights. But as far as the music goes, I just couldn't resist doing that after hearing Christmas music over the loud speakers at various neighborhood stores. And today I was playing with the Christmas music kiosk at Target that plays samples from Christmas music CDs. And every year, there are always complaints about Thanksgiving being forgotten. That stores always go from Halloween to Christmas, with Christmas getting into stores before Halloween is even over. I have said this in past years, but Thanksgiving just doesn't seem like a decoration-centric holiday. The same people who hung fake ghosts on their porch and placed jack-o-lanterns on the lawn at Halloween and who will be decorating their house with many strands of colored Christmas lights don't seem as likely to put some sort of pilgrim or turkey decorations on the lawns and porches. yet year after year, everyone complains about a lack of decorations for Thanksgiving. For Thanksgiving, decorations, if there are any, seem limited to the table during the dinner. Today at Kmart I saw a small cube display of Thanksgiving decor, limited to paper plates, napkins and cups (seen in the photo) table cloths, and some sparkly pumpkins. Look carefully and you can see that one side actually contains Christmas decorations! It doesn't seem that stores like Kmart and Target make much money off Thanksgiving. Rather, it's the grocery stores that seem to be making money off the holiday, since people are more likely to be getting their turkeys and stuffing at Safeway than at Target. Even though I don't do a lot for Thanksgiving, I don't dislike the holiday. Some might argue that it's just not a holiday that has a lot of fun or action. We aren't staying up drinking and counting down to the upcoming year. We're not hunting for pastel eggs hidden in patches of grass at a baseball park. We're not watching fireworks. We're not dressing as clowns and witches and knocking on doors for candy, or (for the adults) competing for best costume at a neighborhood bar. We're not dragging a large piece of foliage into the corner of our living room to be decorated with tinsel and glass balls. I must admit I paraphrased some of these lines from this article. I have to agree with these points. Though I don't hate Thanksgiving, I'm just one of those people who doesn't really get into it. I'm not sure yet what I'll be doing this year. In the last few years, my family and I have been going to see the "Twilght" movies. The franchise of course, ended last year, and this year, the newest movie in the "Hunger Games" series has been released the Friday before Turkey Day. We plan on seeing it this week, but it probably won't be on Thanksgiving. We're actually looking at doing it tomorrow, but don't know for sure yet. Will lt you know when this happens. 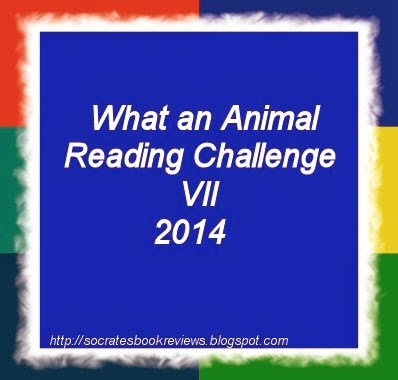 I enjoyed this reading challenge this year and will sign up again for 2014. The categories are different for next year, but some look like fun. I'm already heavy on reading cozy mysteries, but many of the other categories are new to me. I've already checked Goodreads for ideas in those categories and see some that would be fun to read. Many of this year's categories got me more interested in reading some categories I'd never previously read; perhaps those for next year will do the same. 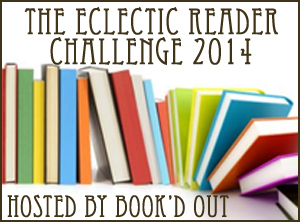 In it’s third year, the aim of The Eclectic Reader 2014 Challenge is to push you outside your comfort zone by reading up to 12 books during the year from 12 different categories. * You can read your chosen titles in any order, at any pace, just complete the challenge by December 31st 2014 to be eligible for the prize drawing. Ok, here's another reading challenge. I didn't do this one last year, but it looks like a fun one. I have cozies books I need to read with cats as the theme, so this would be a good one. And I'm sure I can find some other animal-themed books as well. Since I'm new to this challenge, I'll go with Level One for now, but may go up later. If you'd like to sign up, please use Mr. Linky below. Please link directly to your post about the challenge and not to your main blog page. 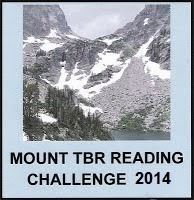 OK, here another reading challenge I did this past year and would like to try again next year. I picked Sous Chef level last year, but went over that, so I will go for the Chef de Cuisine level, though I may go over that one, too. To sign up, visit this link. OK, here's another reading challenge (and I know I'll find more), but this is another that I did this year and definitely have to go for again. I have plenty of books I need to read. Many I planned to get to this year and but didn't and some I got this year that I want to read next year. My level this year was 24 books from my TBR pile. I still have one more to read to reach that number (and I'm sure I'll get to that). But now I have over 30 books to read (and that's just a rough estimate) so I'll aim for Mt. Vancouver but may go over if I can. My bookaholic status remains unchanged. Despite the fact that I will have knocked 100 books off of my 2013 Mount TBR by the end of December, there are still whole mountain ranges waiting to be conquered. So, once again, I plan to concentrate on reading primarily from my own books this year. And you're invited to join me in knocking out some of those books that have been waiting in the wings for weeks....months...even years. 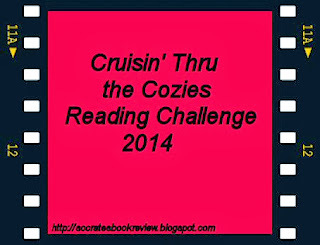 Welcome to the fourth annual Cruisin' thru the Cozies Reading Challenge! I'm still loving the cozies and this is one of the few challenges I plan to continue hosting. NOTE: If you don't have a blog and want to participate, that's fine. You don't have to have a blog, just post in the comments section as you finish books. If you belong to a site like Goodreads and review the books there, that's fine too. Just leave us the link. I also have a group for this challenge on Goodreads and you can sign up by clicking here. 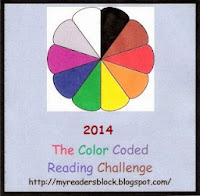 Since I enjoyed the Color Coded Reading Challenge this year, I'm signing up for it again next year. Below are the details copied from My Reader's Block. To sign, up visit this link. Well, I put a poll up asking if folks were interested in giving the Color Coded Challenge another go. I thought I'd run it till the end of the month and then see where we were. But I've got a baker's dozen of interested readers out there already....and I've looked through my TBR stacks and found that I have books for every category, so here we go again. Get ready for a rainbow of reading in 2014. 3. A book with "Yellow" or any shade of Yellow (Gold, Lemon, Maize, etc. )in the title. 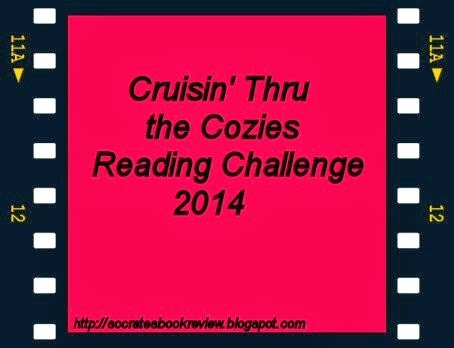 * Any book read from January 1 through December 31, 2014 will count. *Please post about the challenge on your blog. Sign ups accepted until Nov 30, 2014.